Maaya is a high energy bar, having the philosophy of fun-dining, the atmosphere is shaped by DJ’s foot-tapping music seven nights a week. Dimmed and warm ambiance, various indoor seating including around the bar, and a large outdoor area with glimpse of the sky, star, the airport and different spots to lean back. Caters everyone from single diners, to couples, to larger companies come together to share the comfort food and great drinks. 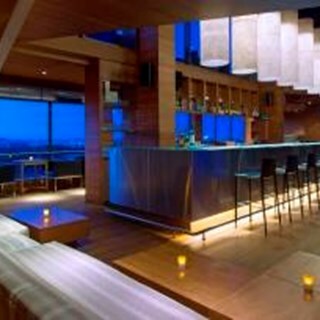 Maaya is known for extensive selection of international beverages, great selection of scotches and single malts, selective Old and new world wines, innovative cocktails. Enjoy sumptuous finger food while watching live matches on a giant screen, of course not to forget about the in-house DJ and biggest wooden dance floor. Nice, clean hotel and friendly staff and of course Delicious food. The hotel is doing everything to make your stay amazing. Everybody from the staff is working so hard, Prabal, Remial and Arna are doing wonderful job, we loved the stay, we will go back again. I especially enjoyed the delicious vege wraps and all other foods in the hotel's restaurant, A lot of vegetarian choices. Nitesh, Manisha, Ankita and Ashish were really good and made our stay homely. Dhritiman in Maaya bar was very helpful and he got really good memory and was bringing our drinks without asking. A great  place, drinks very expensive though! I was staying at Swissotel under package with Unlimited Fun Pour at Maya, I just drink Red Wine, but I was informed the Red Wine is not served as part of Unlimited Fun Pour, that's strange isn't it, you serve Whisky, Vodka, Rum but NOT WINE!!!!!!!. Well, on my special request to the bar tender for Red Wine, he took permission from his superior and served my 1 glass of Sula Red Wine, thanks to him and his superior. Come on guys, Maya is rated one of the top restobar in Kolkata, pls open up your hearts of you are giving any package, else pls don't offer any packages, specially with lots of *********** like the mobile operators. I am staying for 2 nights with the same package, just didn't feel like going to Maya and again the 2nd day and request for some Red Wine. Instaed consumed the Red Wine available in the mini bar.